Meet Travis Rail, professional transporter of supernatural goods. Aside from his martial arts proficiency, skill behind the wheel and solid track record of deliveries, what makes him qualified to do what he does is that he doesn’t believe in the supernatural claims of his clients – which keeps him objective, honest and detached. When his latest client has him transport a chest containing something allegedly touched by Jesus, his world gets turned upside down. Not twenty minutes into the delivery the Rift show up – an underground cult hell-bent on collecting all of the treasures of God. However, it turns out that not only were they after the chest, they were after Travis as well. Who exactly are the Rift? Why do they want him dead? And is what he’s transporting truly of Jesus? In his quest for answers, Travis is reluctantly thrust into another delivery, transporting yet another one of God’s treasures. And the closer he gets to completing this delivery, the more he learns that what he’s delivering might just be bigger than the package itself. Jonathan Chateau received his Masters in Business Administration from the University of Central Florida. He has always had a passion for writing. As a kid, he grew up on Stephen King novels and over-the-top action movies from the 80’s & 90’s. In college, he wrote screenplays, but in time, shifted his writing endeavors towards short stories and novellas. He loves writing stories that he would want to read, and sincerely hopes you’ll enjoy reading them as well. His inspirations come from music, movies, fiction & non-fiction books, and life. He resides in Tampa, Florida. “The Book of Matthew: Life of Jesus Christ” is a Daily Bible Reading Study by Deborah H. Bateman, which takes you through the life of Jesus Christ. The book of Matthew is the first book in the New Testament of the Bible. It begins with the genealogy of Jesus Christ and His birth. The Book of Matthew also goes into Jesus’ ministry on earth, including the Sermon on the Mount, Jesus’ parables, and Jesus’ final days, including His death, burial, and resurrection. The book concludes with the great commission. 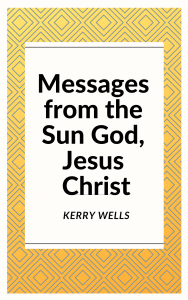 “The Book of Matthew: Life of Jesus Christ” includes fifty-seven daily devotionals which contain a brief commentary, the Daily Bible Reading Scripture, a few questions to think about, and a prayer of the day. It is a great book for individual daily devotions or a group Bible study. Did you know the Bible contains more prophecies about the Second Coming of Jesus than it does the First? In Signs of the Second Coming, you’ll learn all the signs Jesus and the prophets said to look for. Could ours be the generation of His return? Study the signs for yourself and decide if our generation is destined to witness one of the greatest events in all of history – the Second Coming of Jesus Christ. Who is the Dajjal? Is he alive today? What are the Signs of his coming? Why is the First World War significant? Why isn’t he mentioned in the Qur’an? Will he really raise the dead? What about the coming of Mahdi and return of Jesus? Story of the Dajjal: The Antichrist is an attempt at a biographical look at the coming of the Great Deceiver and False Messiah through the Qur’an, Hadith, classical works and Prophetic Eschatology that provides us with clues of how close we are to his appearance.